What’s your very first memory? I often ask this question to family, friends, and colleagues. The answer to my question never fails to enlighten me and speaks volumes about the person remembering. It was late Christmas night and Mammy, (pronounced May-me), and I were sitting on the couch admiring what I thought was a truly magnificent Christmas tree. Mammy was my grandmother—my surrogate mother. My mom was divorced, and very young when she had me, so Mammy was raising us both. I never knew my father. Mammy used to explain to me that when I was a baby I was confused and couldn’t figure out who was the Mom. Mammy used to call herself Grammy around me, but when I was old enough to speak, I bestowed upon her the weird name of Mammy. According to Mammy, at ten or so months old I had brilliantly managed to come up with a name that was a cross between Grammy and Mommy. Mammy was also divorced, so I never knew my grandfather. And Grammy Nadeau, my great grandmother, was a widow and lived with us too. And like my father and grandfather, I never knew my great grandfather either. Grammy Nadeau was sleeping that Christmas night and my mom was on a date. Mammy was busily crocheting an afghan. Almost sixty years later I still have that afghan. I curl up with it nearly every night and wrap myself in Mammy’s memory. Back to my first memory: Christmas night 1957. I was four years old, and my head rested on Mammy’s shoulder. I was trying to be especially quiet because Mammy was preoccupied with her crocheting, and I was hoping that if she forgot that I was there, I could stay up a little later. I closed my eyes and was drifting off until Mammy began to softly poke my arm. When I looked up at Mammy, she had a mischievous look on her face, as she put her finger up to her mouth to shush me. She then took her finger off her lips and pointed toward the tree. So I took Mammy’s cue and gazed at our sparsely decorated tree, adorned with a single strand of blinking lights, a teensy bit of tinsel and a few ornaments, most of them home-made. Underneath the tree sat my treasured present from Santa Claus. She was the most beautiful doll I had ever seen. I named her China because she had the silkiest long, shiny black hair, and a flawless porcelain face. It must have been an expensive doll—much more than Mammy or Mommy could afford. Anyway, China was sitting under the tree, wearing a red organza pinafore that Mammy sewed for her which to my delight perfectly matched the red Christmas dress she had designed for me. 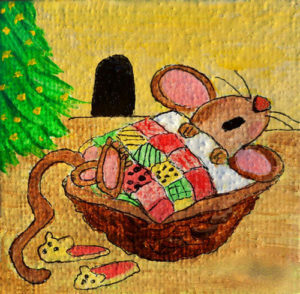 As I sat looking curiously at the doll under the tree, wondering why Mammy was pointing and shushing, I noticed a tiny mouse sniffing around China. I looked up at Mammy terrified, but she was smiling ever so softly, still shushing me with her pursed lips. So I looked back at the mouse with a different eye—from Mammy’s tender perspective. As a child, I was entirely molded by those three women in my life. What they saw I saw. What they felt, I felt. Mammy had no problem with the little mouse—it was just a baby after all, and so I was all right with it too. The mouse sniffed around my doll and then snuggled in its lap. I looked at Mammy’s bright and smiling face, as she lightly kissed her index finger and then playfully touched the tip of my nose with it. Taking my cue from Mammy, I lay my head back on her shoulder, watched the baby mouse sleeping and then closed my eyes, and drifted into my own peaceful sleep. Drinking Alcohol. How Much Is Too Much? I recently went to my allergist to be retested for certain fruits that have lately been causing me extreme stomach pain, lip throbbing, nausea, and internal palpitations. As I breezed through filling out the medical forms, one question, in particular, gave me pause. How many alcoholic beverages do you have a week on average? I lied. Bigly. After my tests, my doctor wrote down the following fruits to avoid: Cherries, blackberries, peaches, plums, and grapes. She further explained that as part of getting older, my body chemistry is going through a change, thus all of the new allergies I have developed. The cursed female change wasn’t enough? And hello. DID MY ALLERGIST JUST SAY TO AVOID GRAPES????? “What about wine?” I asked her hesitantly. “Yeah, I’d definitely stay away from wine for a while,” she said like it was no biggie. Whoa. Stay away from the vino? I was speechless, so I just gave her a super ugly grimace. Yikes! Her dictate swirled around in my head. This is what she’s asking me to do a week before Christmas??????? Could I actually go cold turkey for a whopping four weeks? Okay, maybe I could, but definitely not until after the New Year. After the New Year, I reiterated to myself. But not a day before. Okay, so I’m at the allergist because my stomach pain is so bad I can’t sleep, I’m throwing up in the middle of the night, my lips are regularly throbbing and swelling, and I have an incessant metal taste in my mouth. And I’m resisting my doctor’s recommendation, because? My brain was turning and churning. As I mentally processed if, how and when to stop drinking, I asked myself: Why do I drink? I drink to relax, I drink to celebrate. I drink to calm down. I drink when I’m lonely. I drink because it’s hump day, Friday and Saturday. I drink because it’s Monday. I drink because it’s snowing, storming, sunny, cloudy. I drink because it’s my birthday. I drink because it’s someone else’s birthday. I drink because it’s Mother’s Day. I drink because it’s Father’s Day, Memorial Day, Fourth of July, Labor Day, Thanksgiving, New Year’s Eve… Dang, I drink for any old reason. Plain and simple: I like to drink…in a boat, with a goat, in the rain, on a train, in a house, with a mouse. Here there and anywhere. Gee, thanks, Doc. One measly cocktail. “I’m not sure I am in control,” I weakly blurted out, shocking myself at my honest candor. And therein was the elephant-in-the-room question: Was I in control of my drinking or was my drinking in control of me? “Go home, think about it, and do some research,” my allergist suggested as she led me out of her office. All kidding aside, after my extensive research, I decided to dip my probably arthritic toe into the no alcohol water. No plunging head first for me, though. Not yet anyway. 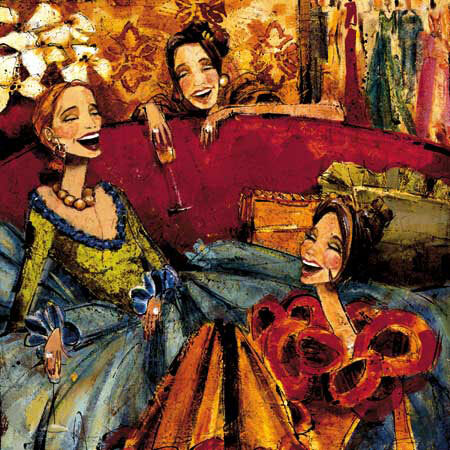 Starting today, until January 2nd, I have imposed a new alcohol rule on myself: No more than one glass of wine a day, any three days per week. And never two days in a row. So the end result is that I am going to consume no more than three glasses of wine per week through January 1st. Yes, I can, yes I can. Okay, I hope I can, I hope I can. And on January 2nd? I’ll keep you posted on that. 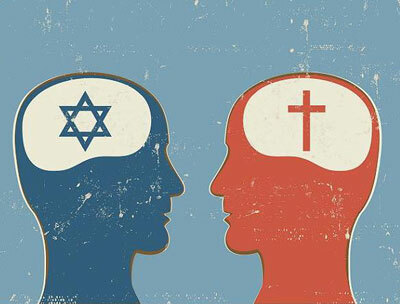 In light of all the anti-Semitism that has been seeping and creeping up since the recent presidential election, it got me thinking about Judaism, Christianity, and why I feel so loathe to discuss religion. And talking politics isn’t much better. Certainly not right now. Both of these topics are better left private. Except most people close to us know who and what we are. Should our religion or politics define us? Make us loved or hated? Respected or denigrated? The constant and continuing turmoil around the election results has been disheartening and worrisome. Swastikas here, Confederate flags, there, and dissension everywhere. It’s the holidays. We should be jingling, rejoicing, singing, wrapping, and planning for family get-togethers. ‘Tis the season to be jolly, right? What would Jesus say about all of this? A long time ago, and in another life, I had a close and loving relationship with Jesus. If you know me or have read any of my blog posts, you know my family dynamic, which consisted of my Catholic grandmother, mother, and me, aka the fatherless child. It was the three of us, not so much living, but more like surviving together on Huron Street, in Bridgeport Connecticut. Father, Son, and Holy Ghost, so to speak. Except we were Mother, Daughter, and Afraid of Ghosts. Soon my great-grandmother joined us, and then we were a family of four. And a mighty four we were. Four strong willed, faithful Catholic females struggling to stay afloat in a swirling sea of men, with Jesus at the top of the food chain. For any Catholics that might be reading this post, you get the Catholic thing. Fish on Friday, fasting before mass, confession, mortal vs. venial sins, and all of the other stuff Catholics do. But I don’t want to talk about all that. I want to use this blog-post opportunity to discuss Jesus and how I felt about Him all those many years ago. And how I still feel about Him today. I would first like to start out by saying that were it not for Jesus, I’m not sure who or where Teri would be today. Because my Jesus was all about love, which included everyone; especially the scorned, the sick, the forgotten, the poor, the forsaken. Jesus was all about solidarity and unity. He would never tolerate hate, bigotry or bullying. My Jesus reached his hands out to everyone, and He would never discriminate. And lest I should remind you, Jesus was the only male in my life. And what a fine specimen and example of an exemplary man He was. He loved the marginalized. He blessed and exonerated all sinners. And as long as I had Jesus in my life, I knew I could get through anything. Jesus was kind, loving, compassionate, and just. But my Jesus was also sad, and maybe even frightened. Because He knew, He was going to die. Jesus understood and accepted that all of us have sinned. All of us are imperfect, and yet He still loved us. No matter how disappointed I felt about myself back in my other life, I knew Jesus was on my side. Because Jesus wasn’t judge-y, and would NEVER pick out some, but not others, to heal, to feed, or to bless. My Jesus was omnipotent. And I believed with all my heart and all my soul, the first couple of sentences in the Apostles’ Creed: I believe in God, the Father Almighty, Creator of heaven and earth; and in Jesus Christ, His only Son, our Lord. When I was thinking about converting to Judaism, it was the most painful and difficult decision I ever had to make in my life thus far. And when I spoke of converting to my Christian friends, they would remark on how hard it was going to be for me to give up Christmas. Giving up Christmas was going to be the least of it. Giving up Jesus was what was going to be near impossible. He was going to be my sacrifice, my lifelong penance. As I sat before the Bet Din, a panel of three Rabbis, sitting high above me on a stage, I ironically and irreverently, thought of the Holy Trinity. The Holy Three. While I sat below the Jewish holy three, the men who had the power to authorize or deny my application to join the Jewish people, my thoughts reverted to what had occurred earlier in my already very long day. I woke up to snow. I snuggled with my son. I had an argument. My punishment was no car. So I indignantly walked to the bus stop and waited. And waited. And waited. I transferred three times. Three buses. And then trudged three long blocks in the slushy snow. Ignoring the irony of the threes was impossible. And now here I was, cold and wet, facing three Rabbis who would decide my religious fate. The Bet Din had prepared three questions for me, explained my sponsoring Rabbi. It was out of my hands, I recall thinking to myself. It’s in Jesus’ hands, I instinctively reassured my weary self. My turning to Jesus was reactive. I was always in Jesus’ hands. Those beautiful, delicate, blessed hands, marred by ugly bloody holes. I gave the holy three the cliffs notes. I stuttered, faltered, and jumbled up my sentences. My family of females, Bridgeport Connecticut, my Salvation Army clothes, our tenement apartment, the nuns, bake sales, weekly mass, my grandmother’s rosary beads, my love of St. Ambrose Church. My Holy Communion, my Confirmation. The whole shebang. I turned to my sponsor, who was to the left of me, as he gave me a worrisome sideways glance. I again turned to my sponsor who this time did not return my gaze. I looked up at the Bet Din. The three Rabbis looked sternly down at me. I spoke of my sick son, the unhappiness of some, the wishes of others, my faith, my sponsoring Rabbi and his wife whom I had grown to love and respect. My newly discovered congregation of friends, whom I had come to rely and count on. I spoke of my lost family, my dead grandmother, my lost self. The faces of the Rabbis softened. I could see my pain in their eyes. “Last question,” one of the holy three muttered, barely audible. He’d lost his edge. They all seemed to. I sat shivering, thinking about how many hours it was going to take me to get home. I was longing to hold my infant son; to rock and hum him to sleep with his favorite song, my favorite song, and my grandmother’s favorite song. The three of us all with the same favorite song. I swallowed hard. The Bet Din wanted me to speak about Jesus. The words, they just spilled out. My sick and dying grandmother denied of her last rights because she was excommunicated, my prodigal status, my love of Jesus—a Jew, who was poor, uneducated, adored by so many, then crucified. I blurted out the morning fight, no car, three buses, my son’s surgery, the snow, the hopelessness, the loneliness. I told them that Jesus was going to love me and keep me safe—today, tomorrow and always. Jewish, Catholic, whatever. Jesus wasn’t going anywhere. Because that’s who Jesus is. He doesn’t forsake. He doesn’t leave. He loves, He nurtures, He heals. All of us, not just some of us. I was on the last question roll. I explained to the holy three that Jesus was everything hopeful; a constant reminder that even in the ugliest of times and despair, He teaches us that there is beauty and light and redemption. I was never going to give up on Jesus. And Jesus was never going to give up on me. And then I sat back in my chair, letting the holy three above me know that I was finished. The Rabbis looked at each other, one sank in his chair. I again turned to my sponsor. Both of his hands lightly covered his forehead; his elbows bent low to the table. My nose was running, and I didn’t have a tissue, so I used my damp sleeve as I watched the Rabbi’s squirm. Then the middle Rabbi spoke. His words were kind and soothing. He applauded my resolve, my strength, my faith, my love of my son. The other two Rabbis nodded in agreement and approval, including my sponsor. And then it was over. I was on my way to being Jewish. Everything yet nothing had changed. ARE THEY PRAYING TO YOU TOO? When I finally got home, my son was already fast asleep. I was heartbroken to have missed him. I needed his warmth, his life, his love. I quietly and reverently tiptoed into his room, still wet from my trek. I laid next to his crib and hummed our favorite song, Oh Holy Night.